Stray from February's classic pink and red hues with demure purple. 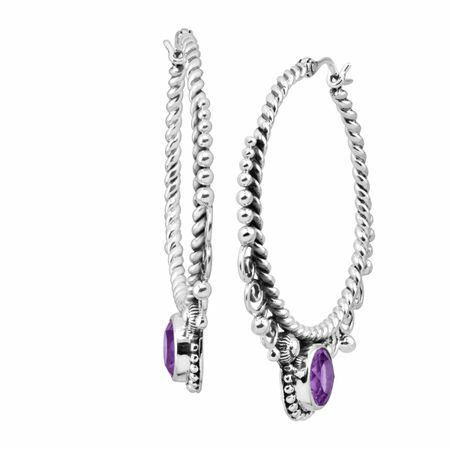 Natural amethysts add a subdued hint of color at the base of these swirling sterling silver hoops. Earrings measure 1 3/4 by 1 7/16 inches and feature hinged backs. Pieces come with “.925” sterling silver quality stamps as symbols of guaranteed product quality.